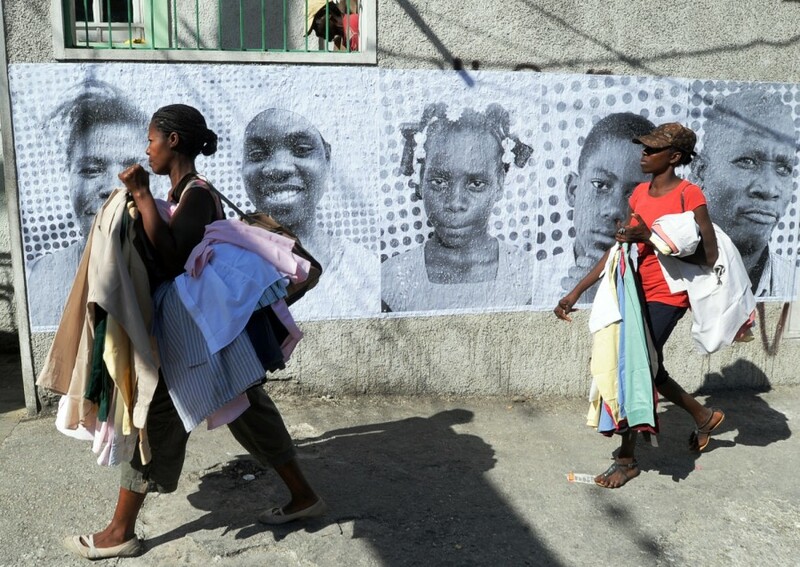 Women walk by posters of Haitians on Jan. 10, 2012 in the Port-au-Prince neighborhood of Petionville. The portraits are part of the "Rising Souls Haiti" project commemorating the second anniversary of the Jan. 12, 2010 earthquake in a partnership with by French photographer and TED prize 2011 JR's 'Inside Out' project. Rising Souls Haiti aims to bring attention to the faces of Haitian citizens who day after day thrive in dire odds. From Cité Soleil to Petionville, over 500 images, taken by Haitian photographers and printed by JR’s 'Inside Out' project: Rising Souls- Haiti, celebrate the resilience of the Haitian people. If the giant portraits of every day people looks familiar to you, you might have seen the French artist's work before. Today larger-than-life faces appeared in Haiti, but he's done projects in New York, Rio de Janeiro, Paris, Caracas and the West Bank. "The real heroes are sometimes not where you think they are, they are right right there in the street, everywhere around you" -- JR.
Scroll down to see more photos of his previous work and links to videos, interviews and more information. 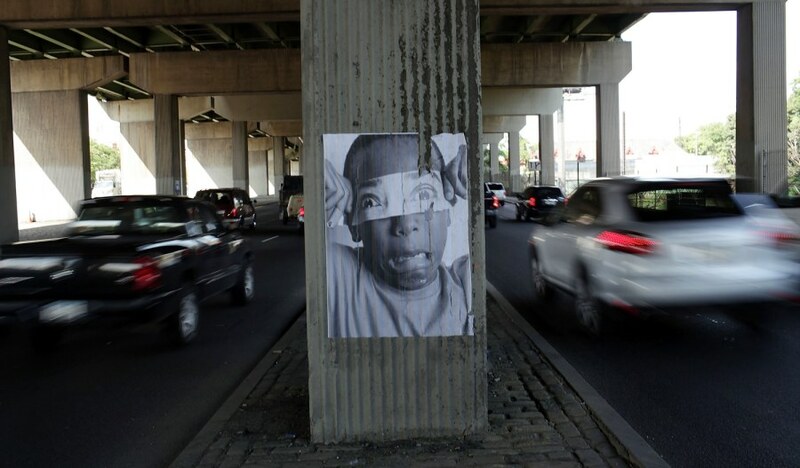 A picture by the French street artist JR is plastered to a wall under a highway as part of a community project called "Through A Mother's Eyes," which involves members of the economically distressed neighborhood of Hunts Point in images taken by and of themselves, June 30, 2011 in New York City. JR, a recent TED prize winner, has staged similar projects around the world that look to transform high crime and impoverished neighborhoods into spaces for street art combined with the celebration of community. 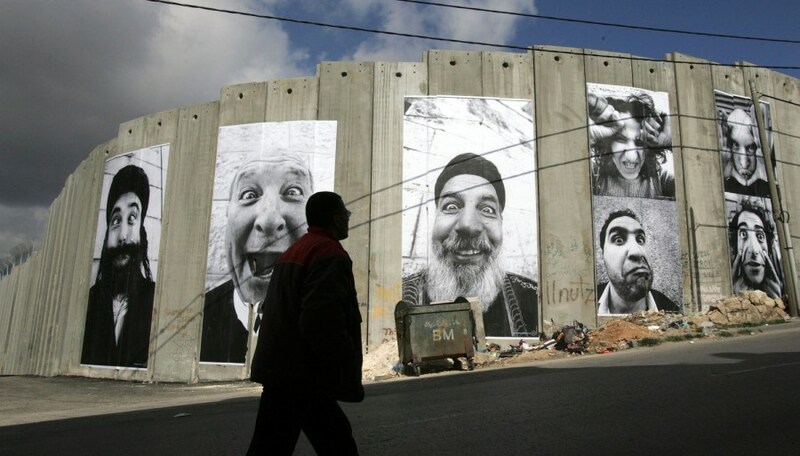 A Palestinian man strides past Israel's separation barrier where French artists from the "Face2Face" project have pasted giant posters, March 6, 2007 in the biblical town of Bethlehem in the West Bank. The Face2Face project produces similar portraits of Palestinians and Israelis who do similar jobs, and then posts them alongside each other on both the Israeli and Palestinian side of the separation barrier. The authors say they hope their project will contribute to a better understanding between Israelis and Palestinians. 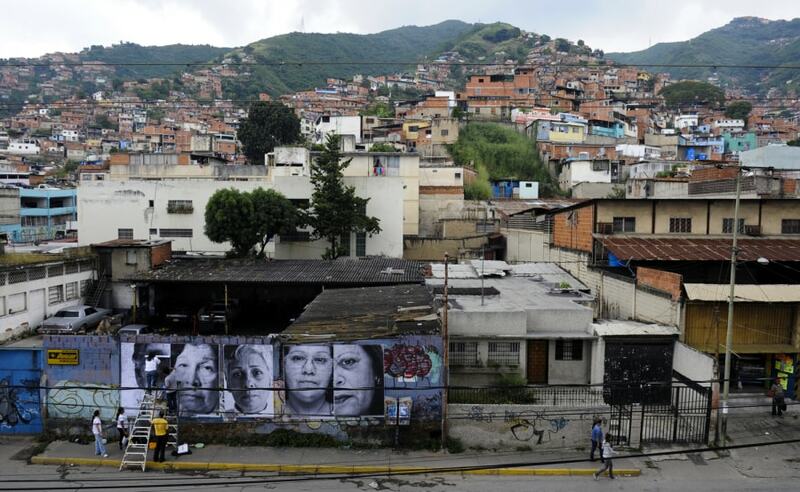 Giant portraits of women whose children were killed are pasted on a wall to raise awareness about the victims of violence in Caracas, Nov. 19, 2011. 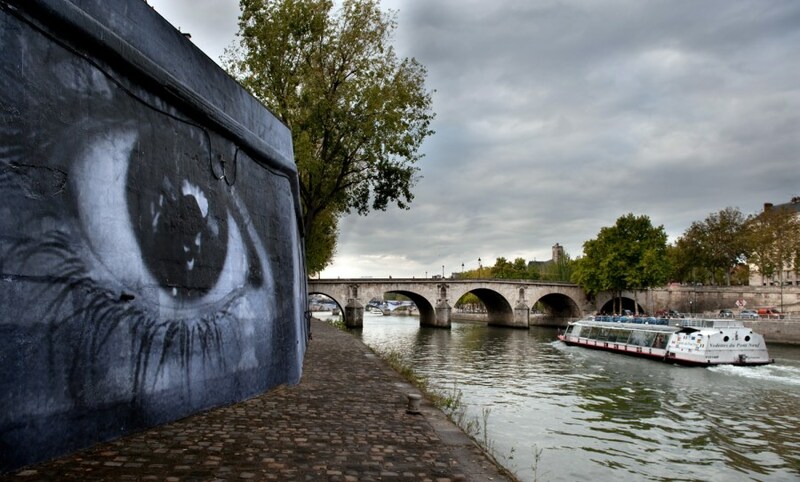 Huge photographs were pasted on facades in poor and commercial areas as part of a project called "Esperanza" (Hope), in the framework of French artist and activist JR's world project "Inside Out", which aims to show unknown stories through the exposition of giant portraits. Follow 'Inside Out' in Haiti on Facebook. Previously on PhotoBlog, JR's work in Rio de Janeiro. More photos from Haiti on PhotoBlog. More about the artist in an article by The New Yorker. Watch JR's speech after winning the TED prize and his wish to turn the world inside out. English trailer for "WOMAN ARE HEROES" by JR presented in May in the Cannes international film festival and released on the 12/01/2011. Music by Jean-Gabriel Becker of Sounds & Sons, Patrice and Massive Attack.